Keep Aristocort out of the reach of children generic ezetimibe and away.. 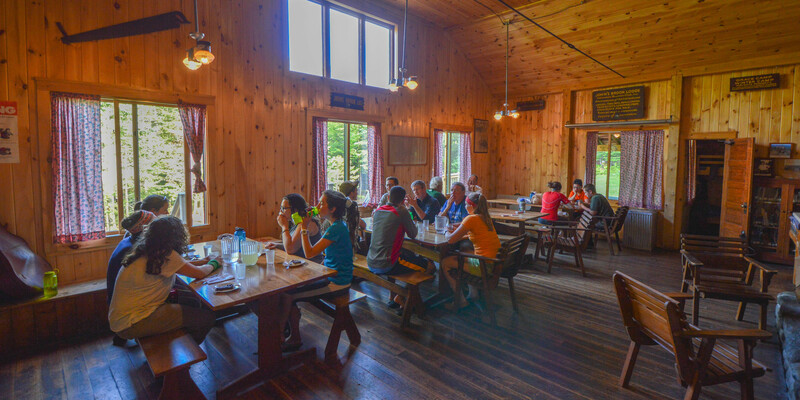 The Adirondack Mountain Club’s unique lodges and camps are as close as you can get to the East’s greatest wilderness. Hundreds of miles of marked wilderness trails and New York’s highest peaks are within easy reach of our facilities. Space is limited, especially on weekends, so book early. For reservations, call 518-523-3441 or book online. ADK members get 10 percent off all accommodations. Stay and play with us. Your reservation supports ADK’s efforts to protect New York State’s wild lands and water. The historic Adirondak Loj on Heart Lake is 8 miles south of Lake Placid, NY. Accommodations include private rooms, bunkrooms, and a loft. The Loj serves a family style breakfast and dinner daily which is open to guests and the public. In addition, guests have the option of having a trail lunch packed for them in the morning. Open year-round. Located in the heart of the Adirondack High Peaks, Johns Brook Lodge (JBL) is the only backcountry lodge in the Adirondacks. JBL is accessible by a 3.5 mile foot trail from the Garden parking area in Keene Valley, NY. JBL sleeps 28, is open year-round and serves breakfast, lunch, and dinner during July and August. Camp Peggy O’Brien and Grace Camp are located on our Johns Brook Property near JBL. The cabins sleep 12 and 6 people respectively. Each cabin has a full set of kitchenware, a sink but no running water, propane lights and heat, and bunks with mattresses. Open year-round. The Wiezel Trails Cabin sleeps 16, in four 4-person bunkrooms. There is a complete kitchen, living area, and two full bathrooms. The cabin is open from October through April. The Campground Cabin sleeps 4 in one bunkroom, has a private bathroom, kitchen, living area, and outdoor fireplace and picnic area. This cabin is open year-round. Tyler Cabin sleeps 6 in two bedrooms (and pull out sofa in the living room), has one bathroom, kitchen, dining, and living area, and outdoor fireplace and picnic area. Tyler Cabin is open year-round had has a view of Heart Lake. There are three lean-tos located on our Johns Brook Property. These are private lean-tos that sleep up to six people and must be reserved in advance. Each lean-to is located near Johns Brook, has a picnic table, and bear canisters are provided from June through September. The Heart Lake Program Center offers a unique location for your wedding or special event. We offer various ceremony and reception options for up to 75 people and will work closely with you to provide a custom experience for your special occasion. For more information please contact Adirondak Loj Manager, Rachel Karp at 518-523-3480 ext.16.